Michael McFadyen's Scuba Diving - Yowie Point The southern waterway of Sydney is Port Hacking. This separates the metropolitan area from Royal National Park and is the waterway that gives access to the whole section of coast from Botany Bay to the northern part of Wollongong. 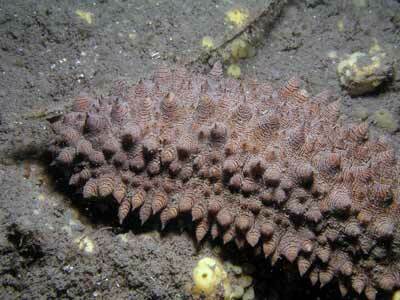 There are a number of recognised dive sites in Port Hacking, Shiprock, Lilli Pilli Baths and Bass and Flinders. There are other spots in Port Hacking that can also be dived. While they are certainly not as good as Shiprock or Lilli Pilli, they are spots that you can dive every now and again and provide a bit of fun for exploring. They are especially good when the open sea is too rough to dive and you still want to get wet. These include spots in South West Arm (Weemalah), off the Rathane conference/retreat centres and the Deep Hole off Lilli Pilli (good for deep diving training - deep and dirty). Another is Yowie Point. This is the western point of Yowie Bay. A member of my dive club has a house here and we decided to do a night dive off his place as we had previously sounded the area with my boat's depth sounder. We have since done this a number of times. To do this dive, anchor in 5 to 10 metres anywhere off the shore west of the actual point and descend. The bottom here is sand/silt in shallows and silt deeper. The bottom slopes down from the shore to five metres or so where there are some rocks and ledges. Then there is another drop to 12 to 14 metres where there are some more rocks and a couple of ledges. From here, head to the south-south-west which follows the shoreline. If there is no current or the current goes east (towards the ocean), stay deeper. The silty bottom has some octopus as well as some nice whiting. You may see a few small bream as well. On the rocks there are very small sponges, gorgonias and other fixed growth. After 20 minutes you will turn the corner and be entering Yowie Bay itself. The direction changes to north-east or similar. There are a lot more rocks in this area, some of them are very large boulders. Just past here is a good place to turn around. Go up to eight metres and head back the way you have come. There are some walls/ledges here and lots of small overhangs and cracks. This area has many large surgeonfish, some small cuttlefish, lots of red/orange sea cucumbers. Follow this depth back (ranging between six and nine metres) exploring the rocks, ledges and overhangs. 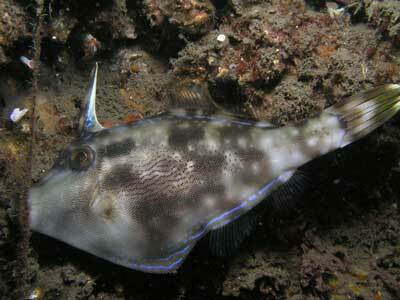 You will also see many small leatherjackets, mostly fan-bellied and pygmy. I expect that you may also see some sea horses here, as it is not that far from Lilli Pilli where they abound. Worth a dive if the seas are too rough outside.